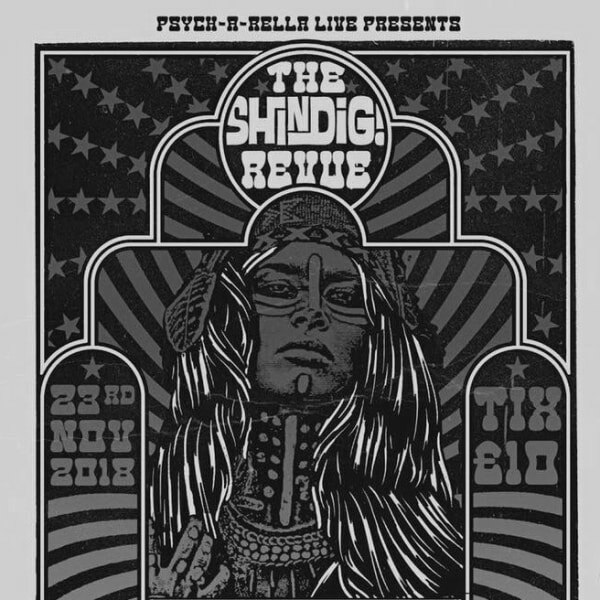 Psych-A-Rella Live & Shindig! Magazine… the latest!! Magazine are proud to announce the headliner for our 4th Revue will be the amazing SOUNDCARRIERS. This will be their first gig in over 6 years. Fresh from soundtracking hit AMC show ” Lodge 49” these sonic adventurers are excited to be getting out on stage again. Nice. Next up we have one of our favourite new acts Gloria band from France, the Shangri-La’s meet Les Fleur De Lys with sweet 3 part harmonies and fuzzed out guitars. Great. If that’s not all we have Strange Majik all the way from the USA bringing his unique brand of Rock N Soul that has lashings of funk and more than a smattering of blues. Hmmm. Plus we have the Shindig! Team of crack (pot) DJs going toe to toe with the Psych-A-Rella Club DJs until the early hours. 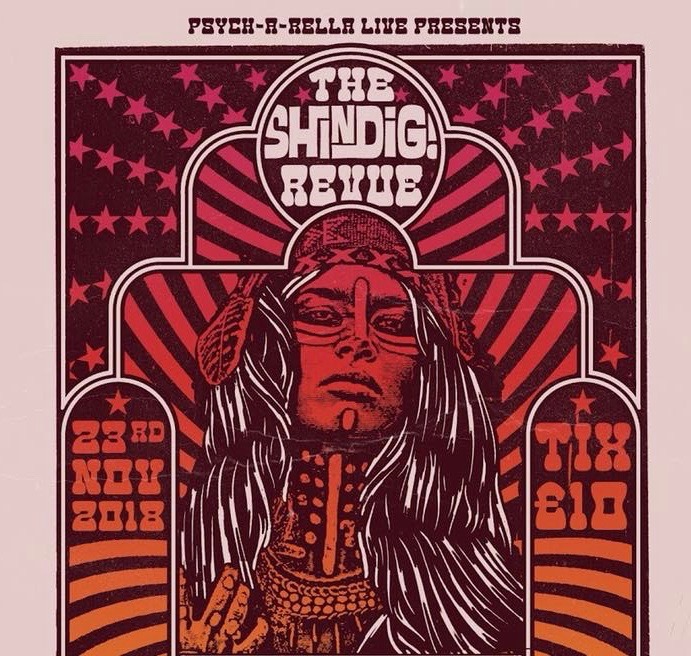 Expect wigged out freakbeat, fuzz, garage, psych, maybe some prog, funk, soul and all that other good stuff we love! Yum. All this for just £10.00 in advance. More on the door.